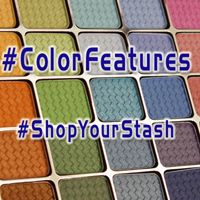 I bought this color as one of my first purchases from Aromaleigh, back before the sample program had been changed to let customers choose their own free samples with each order. Blaze has a sooty black undertone, so I was less than thrilled because I truly dislike colors that do this. However, if you're looking for a slightly orange red and don't mind “blackened” colors, don't let my preferences or experiences put you off of this one.